Representatives of the Vilnius municipality attended the event in Athens during which SynAthina platform was presented. Representatives of the Vilnius municipality Ernesta Vaišvilaitė and Marius Kurlavičius attended the event in Athens during which SynAthina platform was presented. The platform serves as a tool for city dwellers to submit proposals or projects and thus improve their city, make it more beautiful and solve city-related problems they encounter. The good practice of Athens was shared with other European municipalities: the SynAthina team helps authors of viable and promising projects meet with potential sponsors, volunteers, companies or knowledge centres which implement projects of similar nature. The platform was developed and launched in Athens. The selected projects are funded by the municipality of Athens. According to the representatives of the platform team, it is an excellent way to involve city dwellers and local entrepreneurs in local governance and to cooperate thus improving mutual understanding. The platform certainly helps resolve issues which are relevant to the city and contributes to the improvement of living conditions and the surrounding environment on the whole. As the organisers of the event noted, since 2013, when the website of the platform was developed, as many as 3,457 projects of various scope have been offered. The selected projects most often significantly improve life in the city. The SynAthina team closely cooperates with the municipality of Athens and continuously informs residents about implemented projects, for instance, revised regulations or simplified procedures in the municipality. “We are delighted that Athens is not indifferent to new ideas. 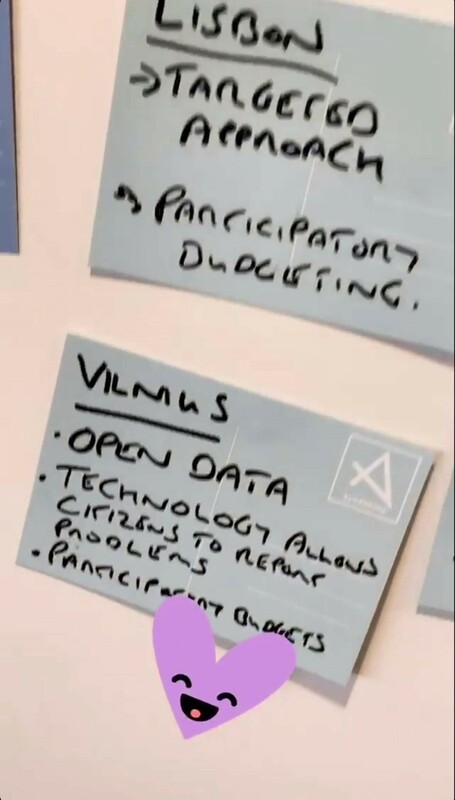 We hope to put the best ideas in practice in Vilnius and maintain relationships with the project team and have effective cooperation in the future. The crucial part of the program is the single platform designed for the promotion of submission of new projects. One more constituent of the project which is no less interesting is open call events. This is a good way to discover viable projects and prompt faster resolution of small bureaucratic problems. The project is open and accessible to everyone,” Marius Kurlavičius, specialist of the Strategic Planning and Budget Division, said. “Participation of the public in this programme is very important; for this reason, in our view, more focus should be put on the publicity of the website,” Ernesta Vaišvilaitė, specialist of the Electronic Services and Processes Division, added. According to the specialists of the Vilnius municipality who attended the presentation in Athens, the results demonstrate that the SynAthina initiative has been successful and its team is exemplary.